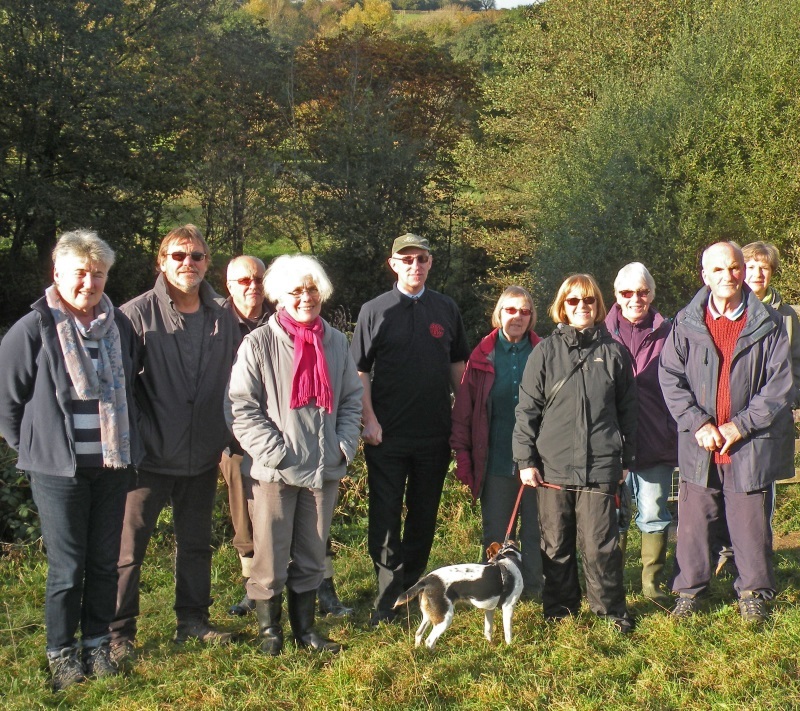 Peter Vaughan at Manning's Pit with members and supporters of the Friends of Manning's Pit group. Apologies to some of those who came but are not shown - the sunlight was so bright that the photograph was badly overexposed on the right of the photograph so had to be cropped. Included in the photograph are Jane and Chris Bulpett, Kate Shaw, Peter Vaughan (in the centre, with the cap) , Joan Long, Janet Coates Maureen Gough and John Norman. “I was challenged by a friend to take part in the 22 Push-Up Challenge, a facebook craze but with a serious purpose, to raise awareness of Post Traumatic Stress Disorder among ex-Services veterans. Owing to the lasting trauma of active service - and the huge readjustment of going back to civilian life - 22 veterans take their own lives every single day. So, the challenge is to do 22 push-ups each day, for 22 days, posting a video each day of the push-ups. I realised that I’d be doing the same thing for 22 days. So for some variation, I tried to go different places to do the daily vid. I did it at home, at work, on the Barnhenge roundabout, on the beach, in the woods, at a guest house, at a music festival. They were all rather frivolous but for my last day I decided to go somewhere more controversial. With so many homes unoccupied in places like Woolacombe and Lynmouth so many months of the year, and entire islands off Scotland depopulated, there is just no need to carve up more of the irreplaceable countryside for yet more housing.